Released in 1971 and starring Charlton Heston, it’s a second interpretation of the novel I Am Legend by Richard Matheson. 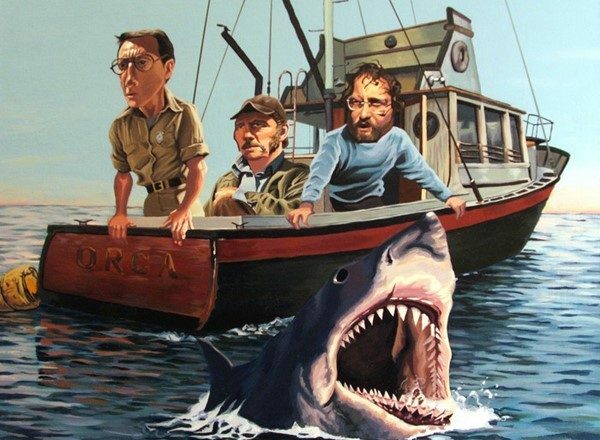 I have seen all three of the film versions. 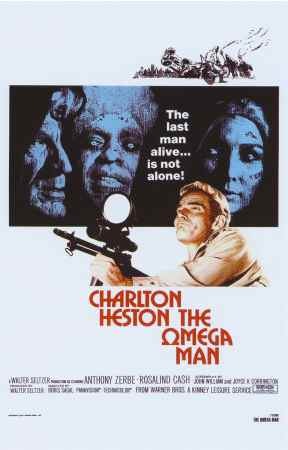 The Last Man on Earth (1964), I Am Legend (2007) and now The Omega Man. Although, I have not read the book, or graphic novel. Allison has and we had an interesting conversation about the different interpretations. She has an issue with The Omega Man and I Am Legend because she thinks the message changes too much from the novel. I don’t want to give too much away and as I said before I haven’t read the novel so I can’t confirm anything but I trust her. She said the novel is kind of hopeless, where as both the film versions she has seen, The Omega Man and I Am Legend are hopeful at the end. In both films people run off into the sunset, so to speak, to a brighter future. I can see where this might bother Allison. I liked all three versions, though they each have their set of issues. The Last Man on Earth moves slowly and I Am Legend has a few unexplained story elements. The Omega Man has similar issues that yesterday’s film had. It has a lot of elements that are so apparently 70s elements. The music, special effects, costumes and even the background story of the war between China and Russia are things that trap this movie within the 70s. Now, I Am Legend has some things that will restrict it to the time period in which it was made. All the technology used in it from weapons to the television and even the movie the kid watches are indicative of the society during the time in which the film was made. Again, these aren’t necessarily bad things but I do think it’s things like these that prevent films from this genre from being able to cross over from year to year. Everything in the Sci-Fi genre has to predict some future and that is always going to reflect what the current society expects the future to look like. In the 70s, it seems apocalyptic was the main theme. I liked The Omega Man. Even with its imperfections, it was still entertaining and creepy. I liked that Heston talks to himself and that the vampire/zombie creatures actually think and plan. In I Am Legend the vampire/zombie things don’t really think like humans but rather like animals and having them plan and think critically in The Omega Man adds another level to the issue. The creatures aren’t just animals, they are human-like and killing them off isn’t like killing off another zombie. Heston’s character is murdering but he’s murdering because they are trying to kill him as well. So, in a post-apocalyptic world, there are two races, each trying to survive. One attempts to “purify” to world by getting rid of everything from the past. The other is trying to survive and killing anything that gets in his way. There’s a plague and an end-of-the-world feel. What’s not to like? Plus Charlton Heston is in it. Everything else is just cosmetic. ← The Sexiest Movie Ever! Rented this movie a few months ago; the kids were all for it as soon as they heard zombies were in it. While I enjoyed it (also enjoyed the book years ago and agree with Allison) around here all it did was inspire a never-ending discussion on zombie defense.